Miami Villas and townhouses range from small duplexes in Coconut Grove, Coral Gables and Miami Beach to luxury waterfront gated communities located along Biscayne Bay. Many townhomes in Miami offer condo-like amenities such as community pools, exercise rooms, tennis courts and clubhouses. Some waterfront townhouses in Miami also include boat docks. 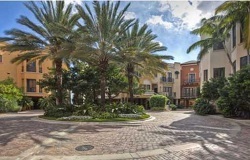 Scroll down to search all townhouses for sale and rent in Miami or click one of the links below to search by community. Thinking About Buying or Selling a Townhouse?